The one (and only) thing I liked about my old TV stand was the storage. It held SO many movies for such a small TV stand. 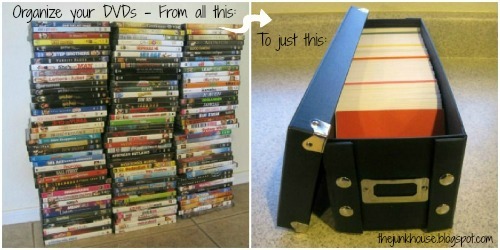 Once we got rid of it I needed to come up with a new DVD storage solution. 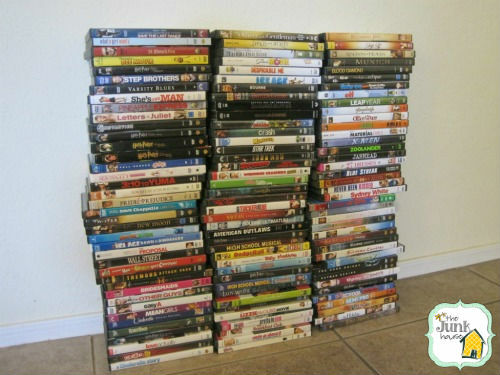 Inspired by Kasey at Little Brick House, I decided to remove all my movies from their cases and box ‘em up! I bought this CD/DVD storage box and 2 packages of these CD/DVD paper sleeves from Amazon. I took all of the movies out of their cases and put them into individual sleeves. I recycled the paper/cover artwork and took the plastic cases to Goodwill (along with my old TV stand). 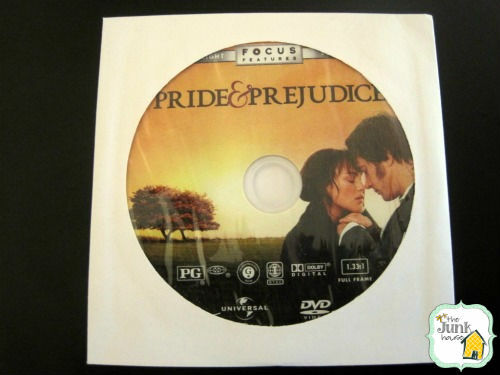 There were a few movies that didn’t have a title printed on the disk. I ended up cutting the title out of the cover artwork and placing that with the disk in the paper sleeve. But wait! How am I going to find a movie in this box without searching through 100+ disks?! Search by genre of course! 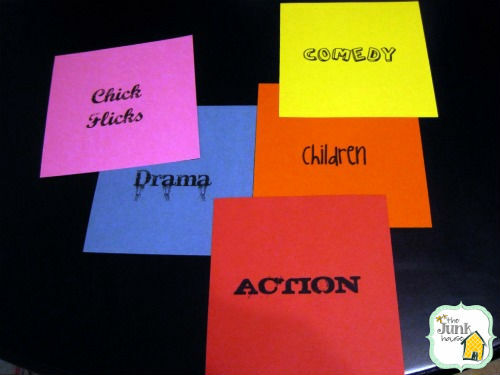 I created the labels in Picnik and then printed them out on cardstock. I tried to match the font and paper color to the “mood” of the genres as best I could. I love my box o’ movies! Frees up sooo much space. I've been tempted to do something similar with CDs/DVDs but then I wonder whether I'll want to sell them in the future which would be easier with the boxes. Wow! This is so smart! I really love it! However, for some stupid reason, I feel like I would have a hard time getting rid of the cases!! Wow I dunno how I missed this post! But that is a genius idea! 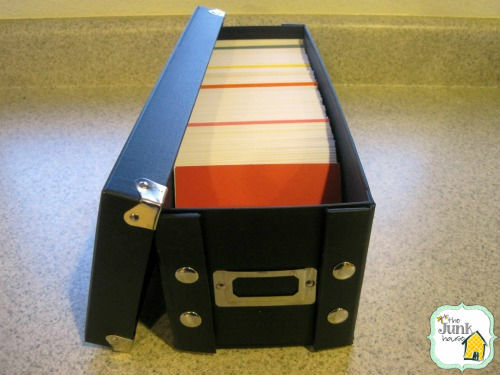 Probably frees up all sorts of space for other things! I feel like this has been added to the list of "Crafty Things Sam Does That I Am Going to Copy STAT." hehe!